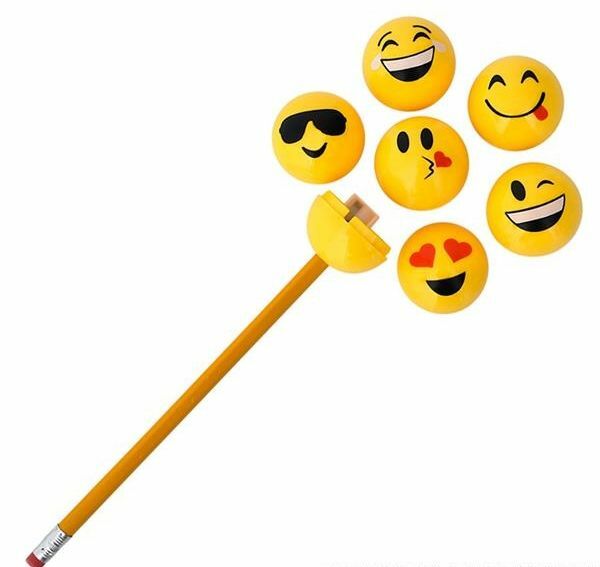 A fun novelty pencil sharpener depicting everyone's favourite emoji - the winking smiley. 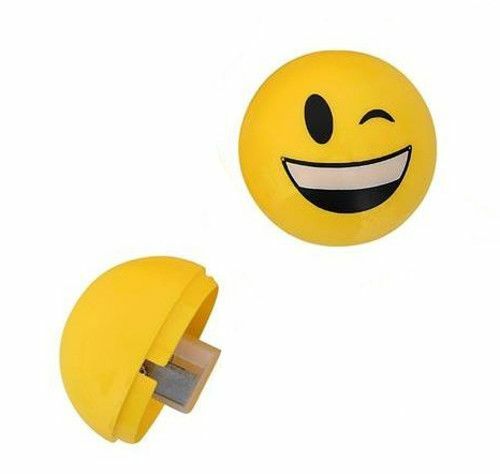 This novelty pencil sharpener made of durable bright yellow plastic contains a safe sharpener within the spherical ball that also collects the pencil shavings. 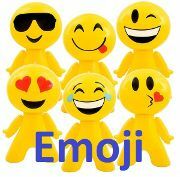 A great back to school stationery gift for kids or a fun novelty pencil sharpener for the office.